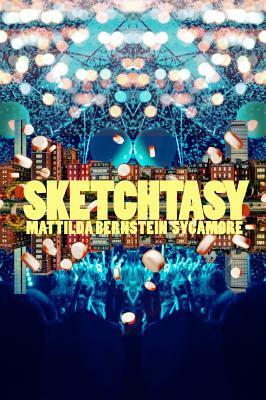 We’re pleased to welcome queer activist, novelist, literary curator and truth teller Mattilda Bernstein Sycamore back to Seattle today to celebrate--at last--the recent release of Sketchtasy (Arsenal Pulp), a novel based in part on her experiences in Boston during the 1990s. Sketchtasy was named one of NPR’s Best Books of 2018 and received rave reviews from The Millions, Shelf Awareness, Boston Globe to name just a few. Welcome home, Mattilda! “As stupefying and white-hot as the drugs coursing through Alexa’s veins, Sycamore’s latest is a love letter to and a formal complaint about the glitter and horror of the 1990s.” —ALA Booklist. Mattilda Bernstein Sycamore’s previous books include: The End of San Francisco (City Lights), winner of a Lambda Literary Award, and Why Are Faggots So Afraid of Faggots? : Flaming Challenges to Masculinity, Objectification, and the Desire to Conform (AK Press), an American Library Association Stonewall Honor Book. Co-presented at ELLIOTT BAY BOOK COMPANY with HUGO HOUSE.